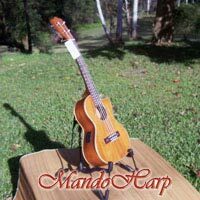 Here you will find examples of some of the many different types of ukulele now available and coming up for sale soon at MandoHarp Australia. NEW!!! - We've now added a Ukulele-Type Sub-Menu (above) and thumbnail displays for many of the instruments listed below. STATUS DISPLAY - An availability status (Red text in right-hand column) has been added to each of the instrument listings below. PAYMENT - We accept payment by Direct Deposit, PayPal and Credit Card (MasterCard or Visa online through PayPal). For Australian customers Direct Deposit is preferred (our bank is a branch of the Commonwealth). 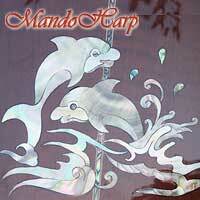 For international customers PayPal is preferred. Payment by Bank Cheque/Money Order can also be accepted by prior arrangement. . SHIPPING - We ship orders on the same day of receiving cleared payment (if received before 12 noon on a business day) or on the next business day. All our instruments are packaged with care, if necessary using cut-to-size foam and cardboard surrounds, bubble wrap and padded post bags. All our instrument cases are carefully sealed in plastic before additional padding and packaging is added as described. Printed labels are attached to all sides of each MandoHarp package - we do our best to make it as easy and obvious as possible for the Post Office. Combined shipping discounts are applied to all multiple-item purchases. IMPORTANT - CHRISTCHURCH EARTHQUAKE APPEAL!! 27th February 2011 - You have no doubt seen and heard that the people of Christchurch have been severely impacted by the second (and this time even more) severe earthquake in six months. Please give generously to the Earthquake Appeal. You can donate at many Australian physical stores and also online at: The New Zealand Red Cross 2011 Earthquake Appeal. Also at The Australian Red Cross NZ Earthquake Appeal 2011. Please do what you can to help. The people of Christchurch need your assistance! SALE!! 4th June 2011 - Our SALE has started and will continue until mid July for direct sales. Prices listed below have been updated. Most SALE prices have now been updated on our eBay store but not all so check the discount percentage labels on the listings below and please email or phone us (61-2-65685545) to order at the prices shown here. MORE OSCAR SCHMIDT AND KALA UKULELES JUST ARRIVED!! 20th July 2011 - Our new shipment of Oscar Schmidt and Kala ukes has now arrived from the USA. Please email or phone us (61-2-65685545) to order at the prices shown here. WAIKIKI, ELEUKE, GERARDA AND ANUENUE BRANDS NOW AVAILABLE!! 22nd July 2011 - Waikiki and Eleuke ukuleles now available by order. Gerarda and Spectrum accessories now in stock. aNueNue ukuleles now available by order. Some aNueNue accessories now in stock. Please email or phone us (61-2-65685545) for further information. Availability status last updated: 11th April 18. The original size ukulele with a scale length of approximately 13" and an overall length of around 21". 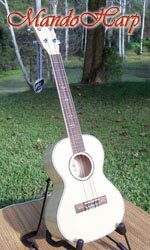 Ukuleles with a body shape similar to a small classical acoustic guitar. 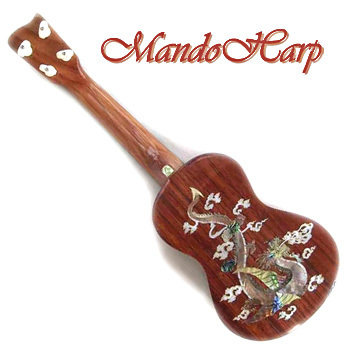 The original ukulele shape was based on the Portugese Machada. There are also several small Latin American instruments of a similar shape with varying numbers of strings. Lanikai CK-S - Lanikai natural finish Koa Soprano Ukulele. Curly Koa top, back and sides. Rosewood fingerboard, 12 Frets, Aquila strings, die-cast tuning machines, From Australian Lanikai distributors. Lanikai LFM-S - Lanikai natural blonde-finish Flame Maple Soprano Ukulele. Flame maple top, back and sides. Rosewood fingerboard, 12 Frets, Aquila strings. Die-cast tuning machines. From Australian Lanikai distributors. 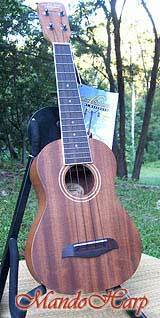 Oscar Schmidt OU12 - Oscar Schmidt matt-finish solid Mahogany Soprano Ukulele. Rosewood fingerboard. 17 frets. Die-cast tuning machines. Originally from US Oscar Schmidt distributor. Electric ukuleles in varying body shapes. Body shape somewhat similar to a pineapple. Ukuleles with body constructed from a coconut shell. 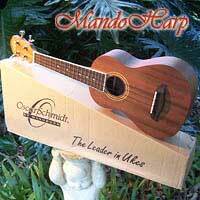 Other shapes and sizes of Soprano Ukulele coming up at MandoHarp. 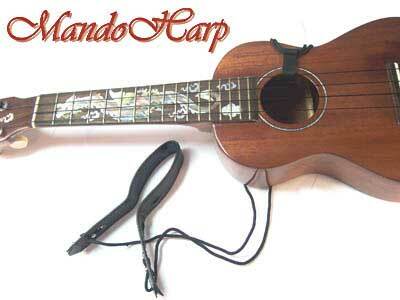 See examples of our other Soprano Ukuleles here soon. Ukuleles with a scale length of 15" and an overall length of around 23". Oscar Schmidt OU2 - Oscar Schmidt matt-finish solid Mahogany Concert Ukulele. Rosewood fingerboard. 17 frets. Die-cast tuning machines. Originally from US Oscar Schmidt distributor. Lanikai CK-C - Lanikai natural finish Koa Concert Ukulele. Curly Koa top, back and sides. Rosewood fingerboard, 18 Frets, Aquila strings, die-cast tuning machines, From Australian Lanikai distributors. Lanikai LFM-C - Lanikai natural blonde-finish Flame Maple Concert Ukulele. Flame maple top, back and sides. Rosewood fingerboard, 18 Frets, Aquila strings. Die-cast tuning machines. From Australian Lanikai distributors. FREE SHIPPING TO ALL AUSTRALIAN DESTINATIONS! 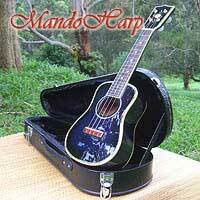 Other shapes and sizes of Concert Ukulele coming up at MandoHarp. See examples of our other Concert Ukuleles here soon. Ukuleles with a scale length of 17" and an overall length of around 26"
Lanikai CK-T - Lanikai natural finish Koa Tenor Ukulele. Curly Koa top, back and sides. Rosewood fingerboard, 19 Frets, Aquila strings, die-cast tuning machines, From Australian Lanikai distributors. Lanikai LKP-T Pack - Lanikai matt-finish Tenor Ukulele Pack. Koa top, back and sides. 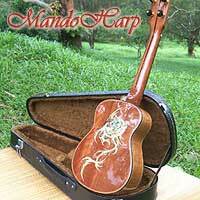 Rosewood fingerboard and bridge, abalone rosette, binding and fingerboard inlays, 19 Frets. Custom wide bone nut. Aquila strings, gold finish die-cast tuning machines. Pack includes gig bag, tuner and instruction booklet. From Australian Lanikai distributors. JUST ARRIVED!! Lanikai LU-21T - Lanikai matt-finish Nato Tenor Ukulele. Nato top, back and sides. Rosewood fingerboard, white binding, 18 Frets, Aquila strings, chrome die-cast tuning machines. From Australian Lanikai distributors. NOW IN STOCK - $199 - SALE PRICE $179!!! Lanikai CK-TEQ - Lanikai natural finish Koa Tenor Ukulele. Cut-away guitar style. Curly Koa top, back and sides. Rosewood fingerboard, 19 Frets, Aquila strings, die-cast tuning machines, "Shadow" active pickup with equalisation. From Australian Lanikai distributors. Lanikai LFM-T - Lanikai natural blonde-finish Flame Maple Tenor Ukulele. Flame maple top, back and sides. Rosewood fingerboard, 18 Frets, Aquila strings. Die-cast tuning machines. From Australian Lanikai distributors. 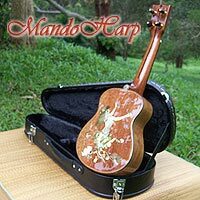 "Aloha Sun Flower" - Guitar-Style, Mahogany and Rosewood, Tenor Ukulele with striking aloha, sun and flower design in abalone and mother of pearl on the fretboard, headboard and mahogany-finished body. Originally from Bruceweiart Musical Instrument Workshop. 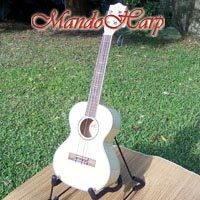 Other shapes and sizes of Tenor Ukulele coming up at MandoHarp. See examples of our other Tenor Ukuleles here soon. Ukuleles with a scale length of 19" and an overall length of around 30". Oscar Schmidt OU52 - Oscar Schmidt matt-finish Solid Mahogany Baritone Ukulele. 19 frets. Rosewood fretboard. Rosewood Bridge. Die-cast geared machine heads. Originally from US Oscar Schmidt distributor. AWAITING STOCK - $280 - REDUCED PRICE $252!!! Lanikai CK-B - Lanikai natural finish Koa Baritone Ukulele. Curly Koa top, back and sides. Rosewood fingerboard, 19 Frets, Aquila strings, die-cast tuning machines, From Australian Lanikai distributors. Lanikai LU-21B - Lanikai matt-finish Nato Baritone Ukulele. Nato top, back and sides. 19 frets. Rosewood fingerboard, white binding, die-cast tuning machines. Aquila strings. From Australian Lanikai distributors. AVAILABLE BY ORDER - $269 - REDUCED PRICE $228.65!!! See other examples of our Baritone Ukuleles here soon. 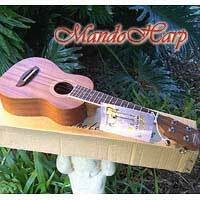 Quality Ukulele parts and accessories. Spectrum MS12 Medium Weight Collapsible Music Stand - Medium weight construction. 3 sections with 2 page stays. Tripod base. Hinged desk. With tough carrying bag. JUST ARRIVED!! Hohner Musikland Table Music Stand - Colourful plastic base. Nickel plated support arms. 2 page stays. Available in several colours: red, blue, green, yellow, orange JUST ARRIVED!! NOW IN STOCK - $19.15 - SALE PRICE $16.28!!! aNueNue Ukulele Suspender Straps - Tough brightly-coloured nylon-braid strap. Metal adjustment buckle, Metal sound hole hook with tough material covering. Suits all sizes of ukulele. Available in a range of bright colours: Red, Blue, Orange, Cream, Grey, Pink and Black NOW IN STOCK - $14 - SALE PRICE $12.60!!! Acoustic Instrument Suspender Strap - Adjustable black suspender strap with plastic sound-hole hook. Suits all sizes of ukulele. NOW IN STOCK - $9 - SALE PRICE $7.65!!! 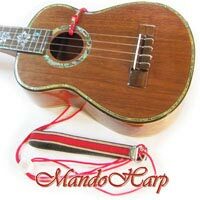 Acoustic Instrument Suspender Sling - Adjustable coloured suspender slings with soft plastic covered sound-hole hook. Suits all sizes of ukulele. NOW IN STOCK- $9 - SALE PRICE $7.65!!! 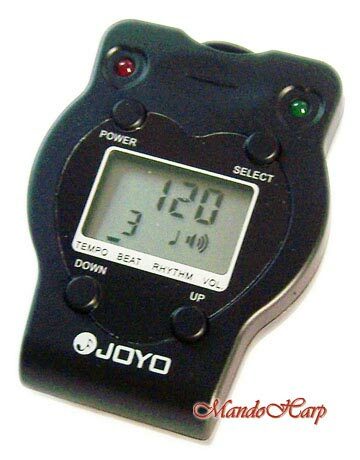 Joyo JMT-9005C 3-in-1 Tuner/Metronome/Tone Generator - Three-in-one Chromatic/Guitar/Bass/Violin tuner, metronome and tone generator. 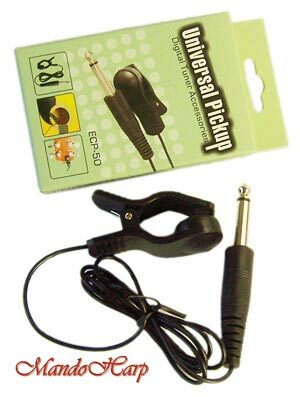 Includes clip-on pickup. AWAITING STOCK - $25 - SALE PRICE $17.50!!! Caline CT-03B Clip-On Chromatic/Guitar/Bass/Violin/Ukulele Tuner - Backlit LCD Clip-On Tuner. 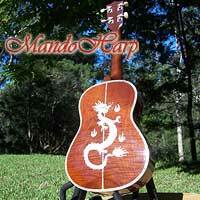 Suits all sizes of ukulele and other stringed instruments. JUST ARRIVED!! NOW IN STOCK- $12 - SALE PRICE - $8.40!!! Flanger FT-20 Clip-On Chromatic/Guitar/Bass Tuner - Backlit LCD Clip-On Tuner. Suits all sizes of ukulele. NOW IN STOCK - $12 - SALE PRICE - $7.20!!! 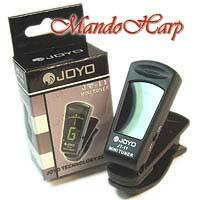 Joyo JT-11 Clip-On Tuner - Backlit LCD Clip-On Tuner. Suits all sizes of ukulele. NOW IN STOCK - $20 - SALE PRICE $14!!! 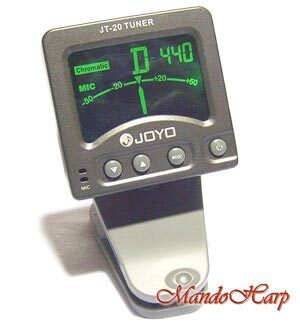 Joyo JT-20 Clip-On Tuner - Backlit LCD Clip-On Chromatic Tuner. Suits all sizes of ukulele. NOW IN STOCK - $22 - SALE PRICE $18.70!!! 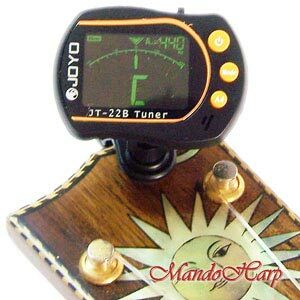 Joyo JT-22B Clip-On Tuner - Backlit LCD Clip-On Tuner with Ukulele mode. Suits all sizes of ukulele. NOW IN STOCK - $22 - SALE PRICE $13.20!!! 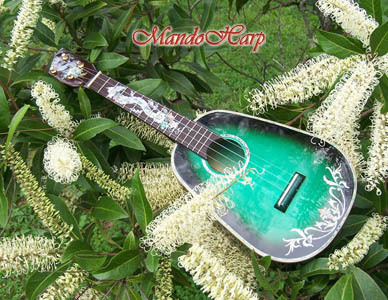 See other examples of our Ukulele parts and accessories here soon.